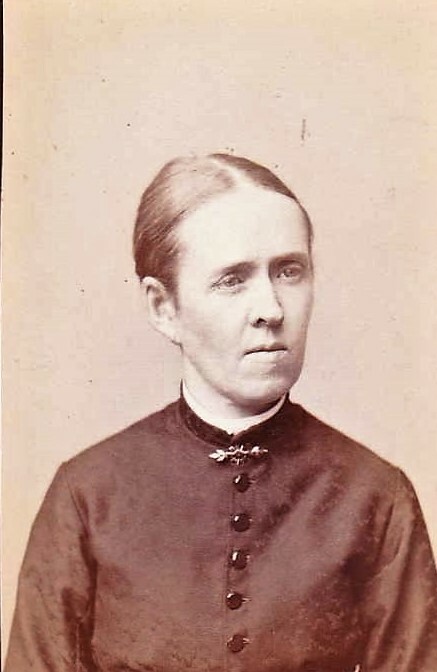 Eva Fiske b. 1849 in Tewksbury, Massachusetts d. August 8 1890. Daughter of Amos Fiske (1821-1882) and Caroline Augusta Walsh (1822-1893). 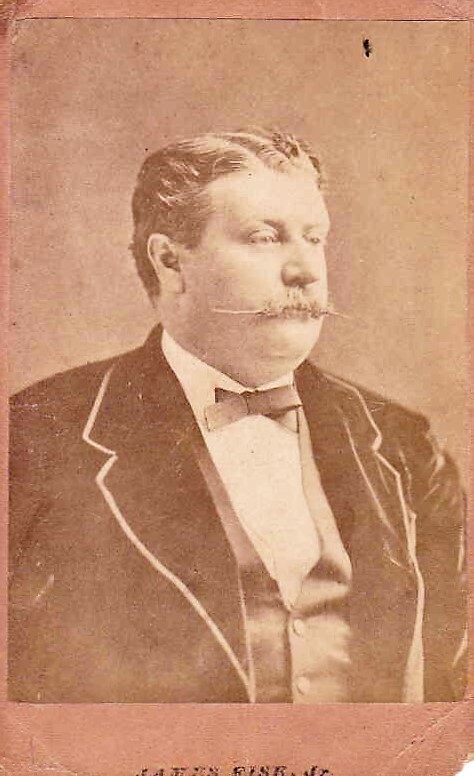 Married William Henry Worcester (1829-11916) on September 14, 1880. Children: Leonard Francis Worcester born in 1881 married Edna MacIver. He worked for Hood Creamery in Tewksbury, MA. 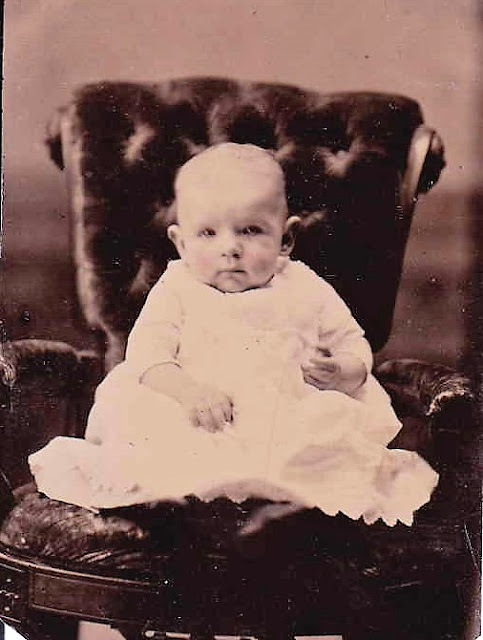 Second child of Eva Fiske and William Worcester, Agnes Worcester born July 1, 1887 died in infancy on August 11,1887. Caroline Augusta Walsh, daughter of William Walsh and Lucy Ball. She was born August 12, 1862. Lucy Ball (1788-1863) was the daughter of Peter Ball and Lucy Hall. Peter Ball (1750-1800) was son of Peter Ball and Mary March/Mary Walker. Lucy Hall was daughter of John Hall and Sarah Stockpole, daughter of Philip Stockpole and Mercy Thompson. Amos Fiske, born July 5, 1821 in Holliston, Massachusetts, son of Lewis Fiske (1793-1878) and Mahitable Knowlton (1793-1873). Lewis Fiske, son of Levi Fiske (1765-1819) and Jemina Underwood (1772-1819). Levi Fiske, son of William Fiske (1733-1818) and Jemima Adams (1737-1819) daughter of Obadiah Adams and Christian Sanford. William Fiske served as lieutenant under Capt. Robert Taft at the Lexington Alarm. He was with George Washington when a part of the British Army was captured at Trenton, New Jersey. Mary Elizabeth Fiske (1854-1913) daughter of Amos Fiske and Caroline Augusta Walsh. She married Charles Henry Fitzgerald (1854-1929), son of Randolph Augustus Lawrence Fitzgerald and Mary Clark, on 27 January 1880 at Tewksbury, MA. 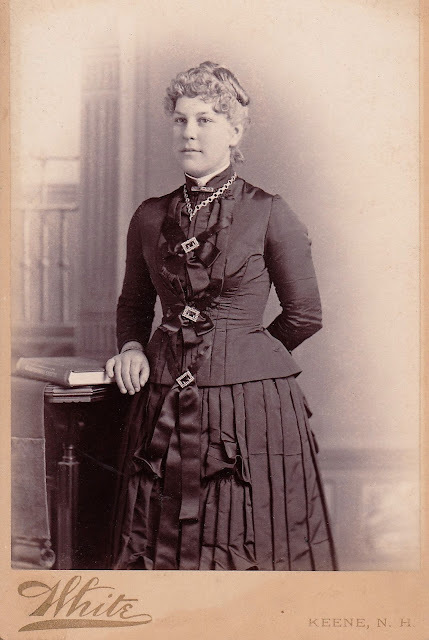 Mary Elizabeth Fiske (1854-1913) from The Ball Project via Fitzgerald family. 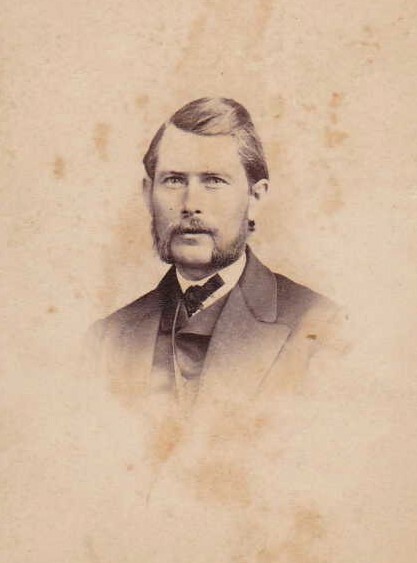 Photo of Charles Henry Fitzgerald, son of Randolph Augustus Lawrence Fitzgerald (1817-1888) and Mary Clark (1819-1894). Randolph A L Fitzgerald was son of Michael Fitzgerald and Mary McKusick. 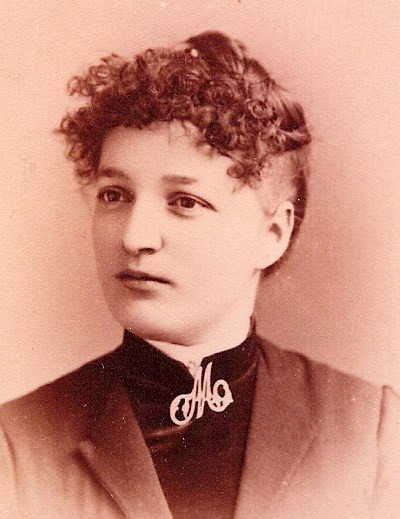 Mary Clark was daughter of Joshua Clark and Mary McKusick. Charles H Fitzgerald married Mary E Fiske, daughter of Amos Fiske and Caroline Augusta Walsh. 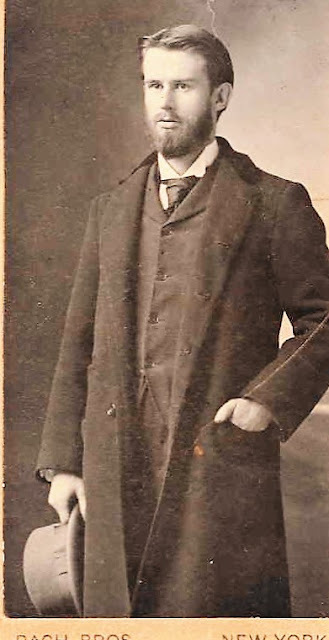 Amos was son of Lewis Fiske and Mehitable Knowlton. Caroline Augusta Walsh was daughter of William Walsh and Lucy Ball. William Henry Worcester 1829-1906 born October 12 1829 in Montpelier VT to William Worcester and Hannah Chadvick Thompson. 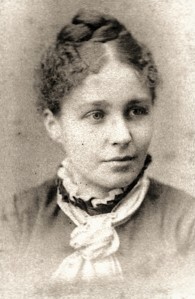 Married Eva Fiske. He is a direct descendants of William Worcester, first minister of Salisbury, Massachusetts. William Henry Worcester married 1st Jan. 1, 1863, Ellen Harris, death Apr. 27, 1877 Lowell, Massachusetts. He m 2d September 1880, Eva F. Worthen Fiske. William served in the Civil War; was second enlisted man mustered for three years from Mass. ; Sergeant in 7th Mass. Light Artillery; Musician in 16th Regiment. ; Sergeant 2d Heavy Artillery. "Cousin William Henry" will long be remembered for his interest in his Worcester relations. He was very fond of visiting them, and was thus able to keep different branches of the family "posted" as to family news. Superintendent of supplies for Street Department, Lowell, Mass. Residence, Stoneham and Lowell. From "The Descendants of Rev. William Worcester" by Sarah Alice Worcester. 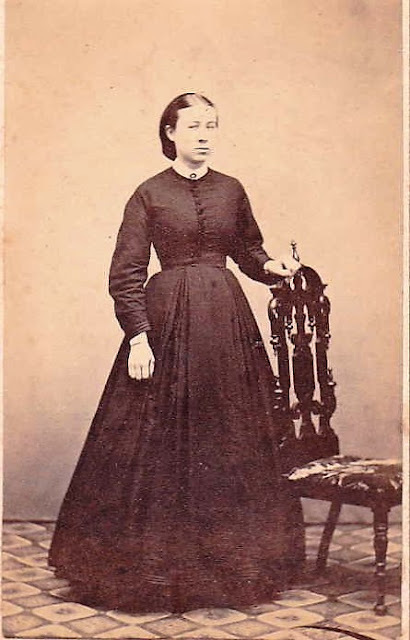 Eunice P. Fiske 1822-1879 born in Cheshire NH to Parker Fiske and Mary Brooks Priest. She married Rev Daniel McClenning (1812-1888) in 1870 they had no children. Parker Fiske (1793-188) was son of Asa Fiske (1764-1829) and Dolly Warren (1764-1818). He married 2nd Mrs. Ether Perry, widow of Moses Perry. Mary Brooks Priest was daughter of Levi Priest and Mary's brother, Levi Priest, JR married Mary Fiske, sister to Parker Fiske. According to the Hancock and Dublin New Hampshire history records: At the beginning of the Revolutionary war Asa Priest was living in Leominster, Mass. He had three sons, all of whom served in the army. Levi was his youngest and he enlisted in the army at the early age of 14 years, and served until the close of the war. As sixteen years was the age required, Levi had his comrade answer for him when brought before the mustering officer. The deception was not noticed, as probably they were not very particular at that time, so great was the demand for soldiers. He bore his full share of the hardships incident to a soldier's life. (Mr. Priest, describing the shirts he had to wear at that time, said: "The warp was grapevine, and the filling ovenwood.") On one occasion hunger drove him almost to despair; so much so that, discovering a bone in the yard where cattle were kept, he cleaned it and made a soup from it. Many times in his after life he said that this was the sweetest morsel he ever tasted. Lying down one night in his blanket on a rise of ground, he awoke to find himself surrounded with water. Many other incidents of a like nature might be recorded. At the close of the war he m. Mary Brooks, of Sterling, Mass., who was b. March 3,1764, and emigrated to Hancock. They settled on what has since been known as the Daniel Priest Farm, marked "G. Barney." Mary Priest did not forget her early home — she frequently visited it, making the journey of forty miles through the unbroken forest on horseback and carrying a child in her arms. They were among the first of the early settlers to plant an orchard, bringing the seeds and scions from their homes in Massachusetts. In addition to the work incident to clearing the land, building a log-cabin, etc., Mr. Priest was engaged to a certain extent in the manufacture of bricks. He d. Dec. 23,1828. His death was occasioned by a fall from the high beams in his barn, the planks having been removed without his knowledge. His wife d. Oct. 25,1848. 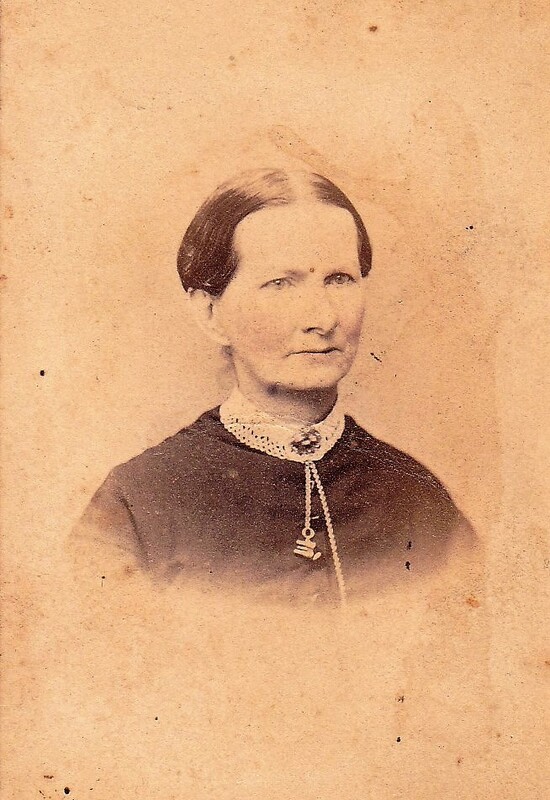 Mary Ellen Fiske 1830-1874 was born in Cheshire, NH to Parker Fiske and Mary Priest. She did not marry. Photo of Asa H Fiske, son of Asa Fisk and Cynthia Mann, daughter of Nathan Mann, and granddaughter of Rev. Elisha Mann, a former minister of Wrentham, Mass. From History of Dublin, New Hampshire: Asa H. was Great-Great-Grandson of Samuel Fiske of Groton, Massachusetts. Rev McClenning was son of Daniel McClenning and Theresa Gilbert. The Congregational Year-book Congregational Publishing Society, 1889 notes 4 marriages for him: He married 1st Thirza Gilbert, married 2nd Mary Richardson daughter of Abijah Richardson (1761-1840) and Elizabeth Richardson Richardson (1763-1853). He married Eunice Fiske 3rd, and 4th Ellen R. Bliss, daughter of Edward K. and Ellen Moie. The Richardson family were in New Hampshire Photo below was given to Robert Levi Berry from Charlotte Phelps Schaefer, a descendant of the Richardson family. 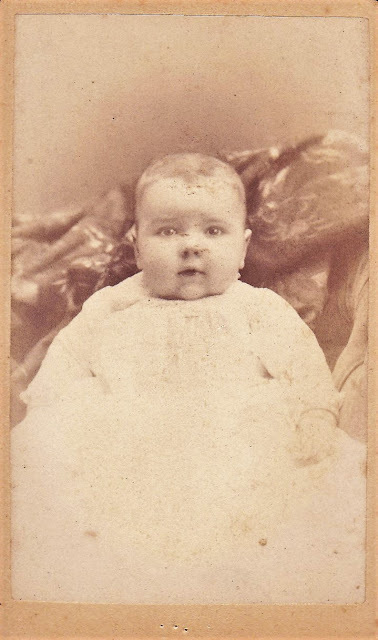 Flora Mabel Fiske 1865-1938 born in Lynn MA to Charles Wallace Fiske and Mary Louis Frazier of Bangor, Maine. 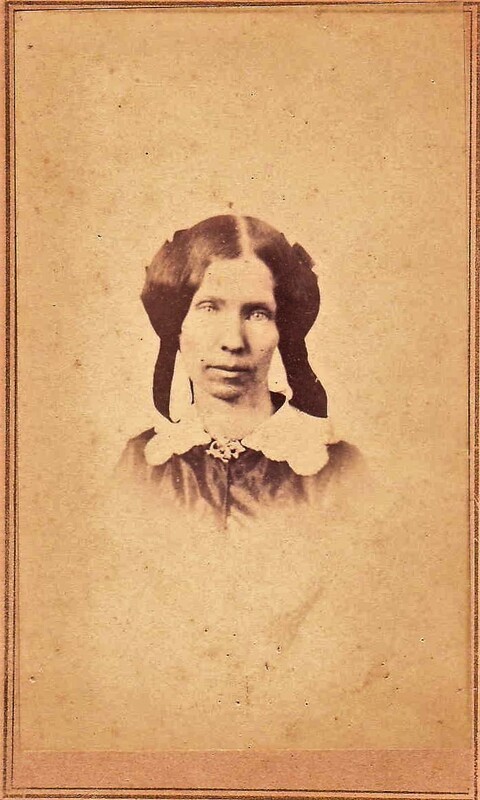 Photo from Ancestry.com of Mary L Frasier/Frazier AKA "The Belle of Bangor" daughter of William and Addie. 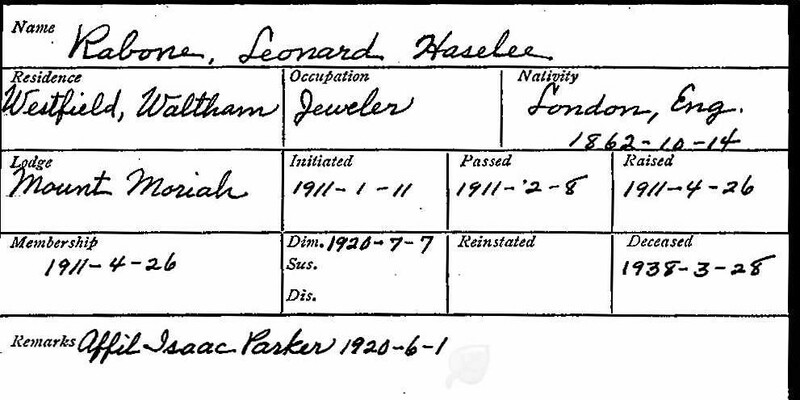 Fora married Leonard Hassler Rabone in 1890 and had 2 children. Leonard was born in London son of Samuel Clarke Rabone and Amanda Hassler. 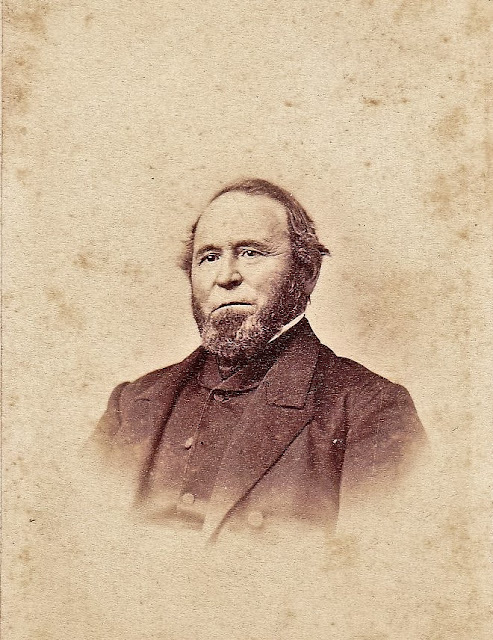 Charles W Fiske (1833) son of Daniel Fiske and and Esther Eaton daughter of Moses Eaton and Esther Ware. Daniel Fiske son of Asa Fiske and Dolly Warren. 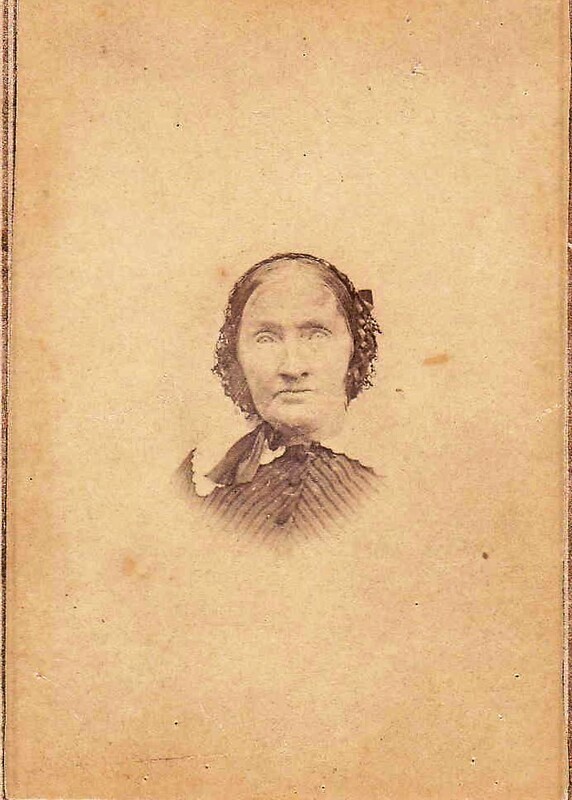 Photo of Flora Mabel Fiske from Ancestry.COM taken in Pennsylvania. Leonard Hassler Rabone 1862-1938 Waltham to Samuel Clarke Rabone and Amanda Hassler. Married to Flora Mabel Fiske. He was a watchmaker in Waltham MA. According to city directory the family resided at 23 Chester Ave Waltham, Massachusetts with Moody Rabone and his wife Gladys. He was a member of the Masons. Frank H. Fiske 1867-1927 born Coventry RI to Albert Lewis Fiske and Maria Louisa Reynolds. Married Margaret Fisher (1843-1921) in 1892 they had no children. 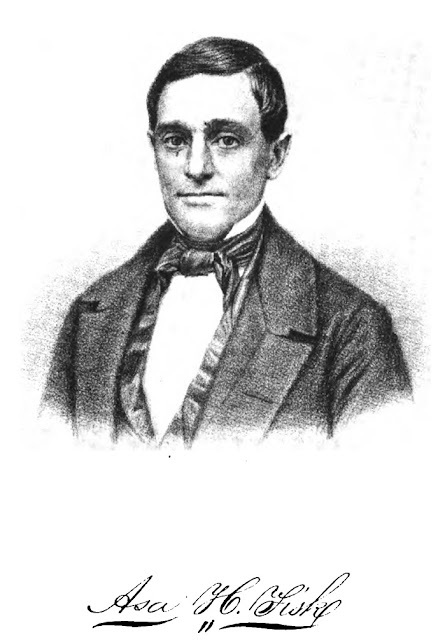 Albert L Fiske son of Amos Fiske (1801-1891) and Sarah Waterman (1806 - 1894). Maria L Reynolds was daughter of Luther Reynolds and Mahala Arnold of Newburyport, Massachusetts. Her grandfather, William Arnold, served as a soldier in the War of 1812. Her brother Second LT John Reynolds was "imbued with a patriotic desire to serve his country, and enlisted as a private in Company B, Tenth Rhode Island Infantry." Another brother Horatio Reynolds was a member of Company K, of this regiment. John "after serving his term of enlistment with the Tenth, again entered the service as a corporal of Company I, Eleventh Rhode Island Infantry, one of the companies recruited under the auspices of the Young Men's Christian Association. He served with credit in this regiment during its term of service, and was mustered out July 13, 1863." 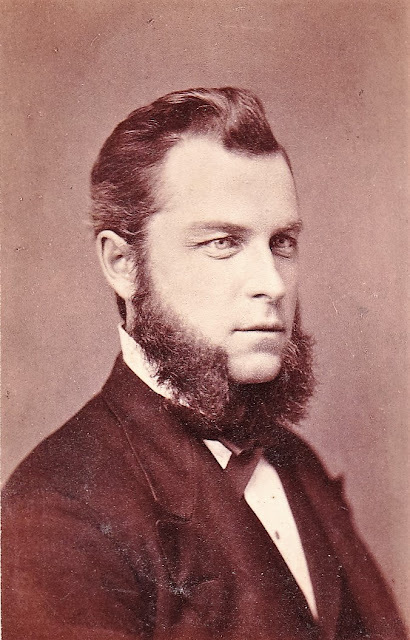 After the war he entered Brown University, but was soon a commission as second lieutenant in the Fourteenth Rhode Island Heavy Artillery Dec. 18, 1863, he again entered the service; was mustered in Dec. 23, 1863, and assigned to Company F. Lieutenant Reynolds evinced a marked taste for vocal music; being himself a good singer, he generally took the lead in musical entertainments, and many an otherwise tedious hour in camp was pleasantly spent in this delightful recreation. Of a genial disposition, and a warm, sympathetic nature, he naturally won many friends; and his comrades will always remember him as ever ready to aid in every good word and work. He was mustered out with his regiment Oct. 2, 1865. Soon after leaving the army he removed to the West, and was employed by a publishing house in canvassing for directories throughout the South. While residing in Lafayette, Indiana, he was attacked with typhoid fever, and, after several weeks of painful illness, died Oct. 26, 1866, lamented by a large circle of acquaintances. Parson's company of state troops and member of Committee of Safety. He was born in Rye, N. H.; died in Chester, NH. 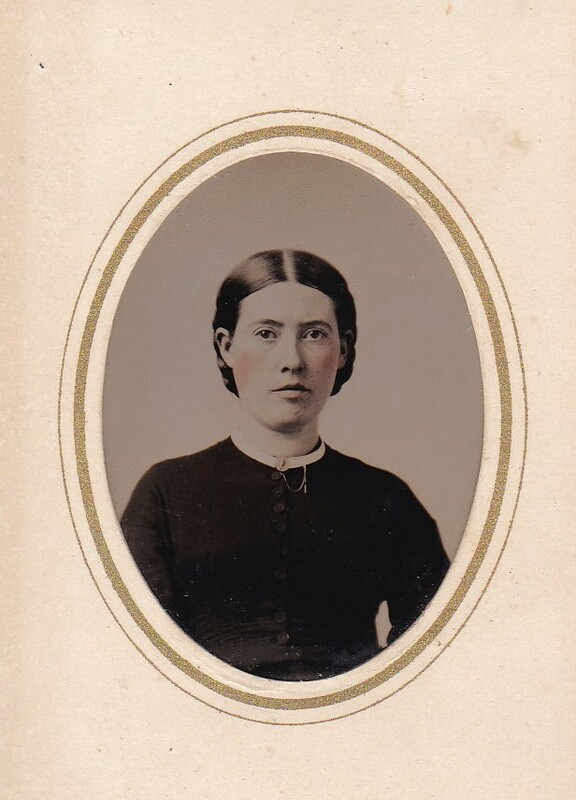 Adeline Fisk 1823-1902, born in Whitfield NH to Asa Fisk and Elizabeth Henry. She Married Lorenzo Johnson son of John Johnson and Sophia Abbott on January 6, 1848 in Charlestown, Suffolk County, Massachusetts. They had 7 children. Lorenzo Johnson (1822-1900) born in Merrimack NH to John Johnson and Sophia Abbot. Married to Adeline Fisk, daughter of Asa Fisk and Elizabeth Henry. John Johnson was son of Nathan Johnson and Hannah Sargent. Hannah Sargent daughter of David Sargent and Jenney Eastman of Amesbury, Massachusetts. Jenney was the daughter of Roger Eastman and Rachel Nichols. James "Diamond Jim" Fiske 1834-1872 he was born in Bennington, Vermont to James Fiske and Laura Ryan. 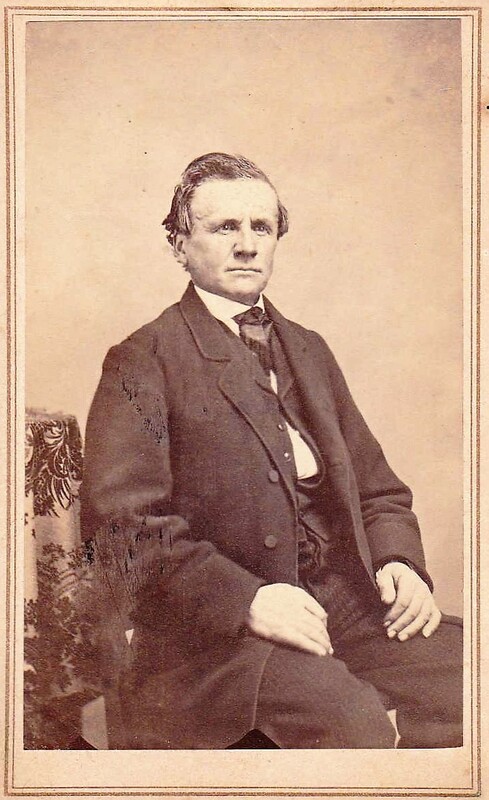 He married Lucy Moore at Ashland, Massachusetts, in the autumn of 1855. Her maiden name was Lucy D. Moore. She was an orphan, and a ward of Mr. Sanderson of Springfield. 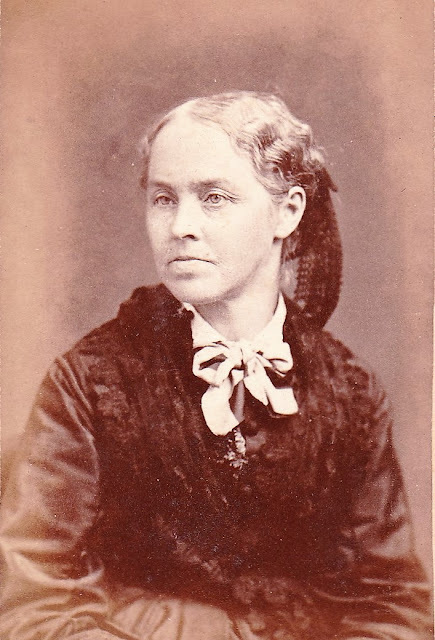 For two years previous to her marriage she attended the Brattleboro Female Seminary. He had no children and was assassinated in New York City on January 6, 1872. A great read "The Life and Times of Col. James Fisk, Jr: Being a Full and Impartial Account of the Remarkable Career of a Most Remarkable Man" by Robert W. McAlpine. 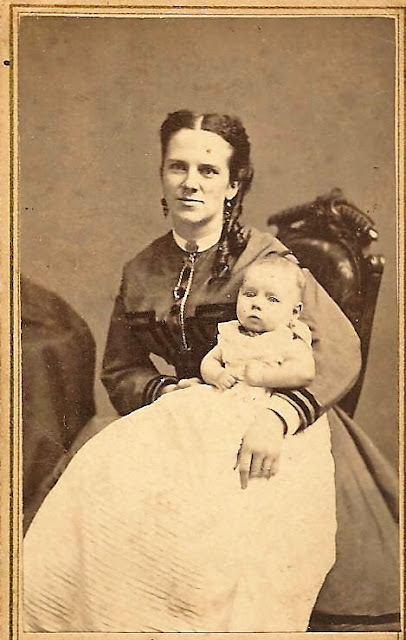 Alice Fisk (1841-1931) Born in Lancaster NH to Frederick Fisk (1808-1873) and Sarah Clark (1806-1886). She married Albert Stevens (1837-1898) in 1865 and had 2 children. Frederick was son of Asa Fisk and Betsey Henry. 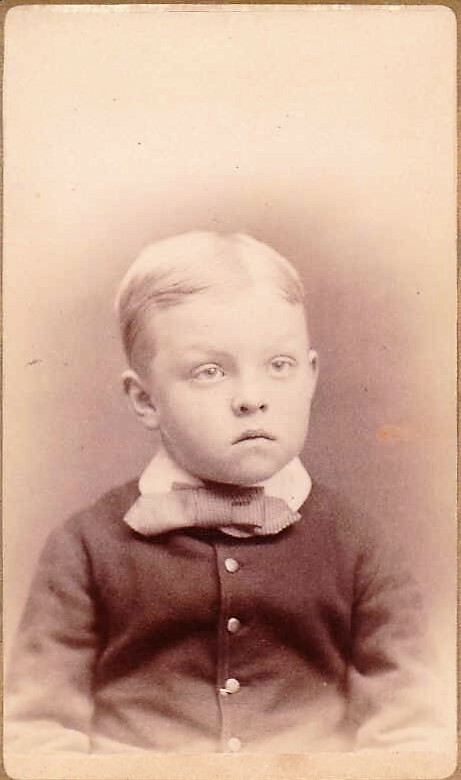 Albert was son of E F Stevens and Sarah Bradley. Albert Stevens 1837-1921 Born in Lancaster NH son of E. F. Stevens and Sarah Bradly spouse of Alice Fisk. Clara T. Fisk 1850-1930. Born in West Boylston MA. Daughter of James Fisk and Maria Nichols, daughter of Thaddeus Nichols and Eunice Gleason of Holden, Massachusetts. Married George Murdock. They had no children. 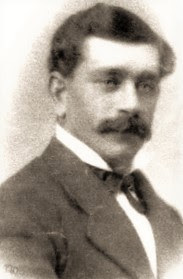 James Fiske was son of William Fiske and Dolly Wellington. 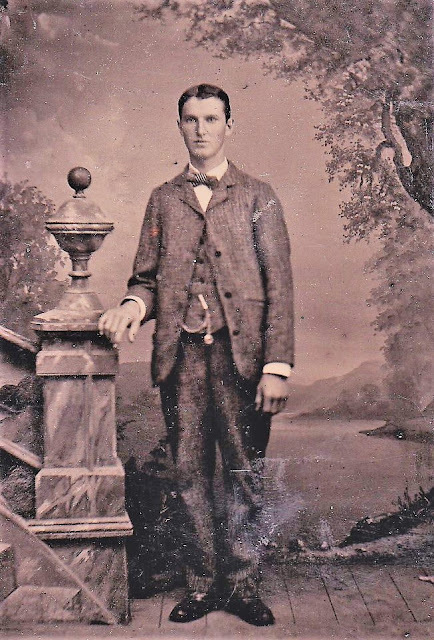 Curtis Bartlett Fisk 1836-1920 Born in Newbury VT, to Curtis Fisk and Sarah Cowdrey. 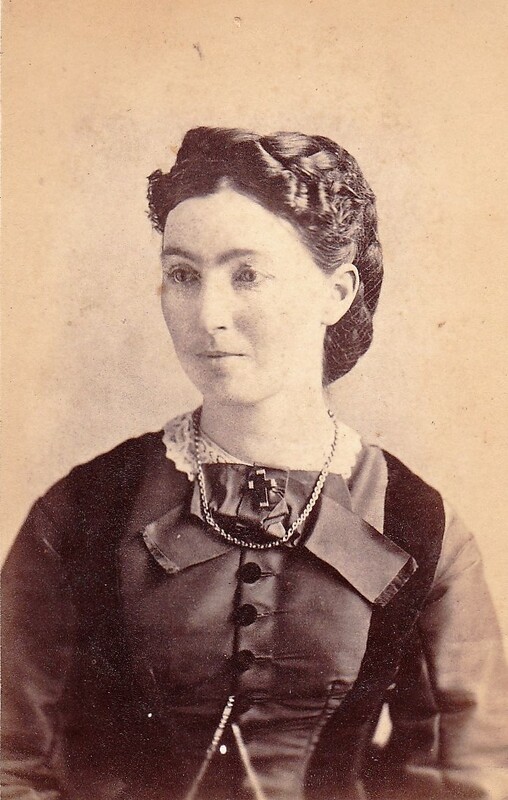 Married Margaret Buchanan daughter of Walter Buchanan and Margaret Lumsden in 1862 and had 2 children. 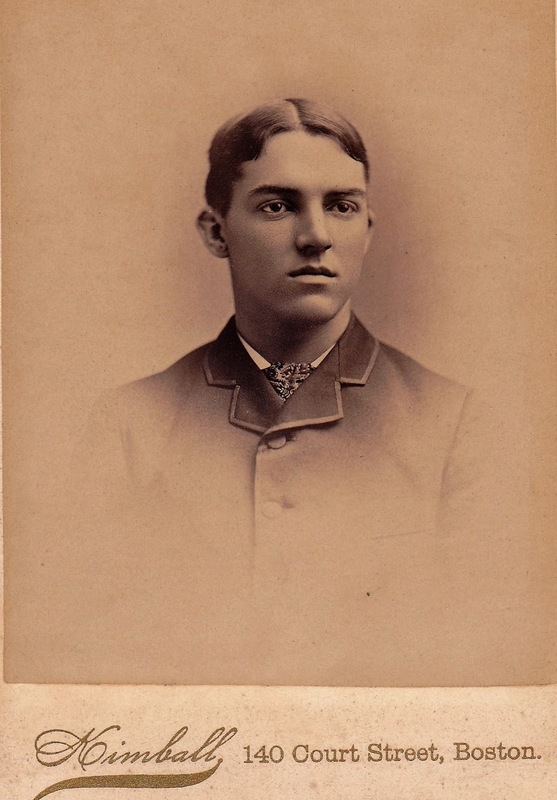 Curtis was born in Newbury, NH son of Ebenezer Fisk (son of Samuel Bartlett Fisk and Vienna Estes) and and Sally Hood. Sarah was daughter of Jonathan Cowdrey and Deborah Tobey. 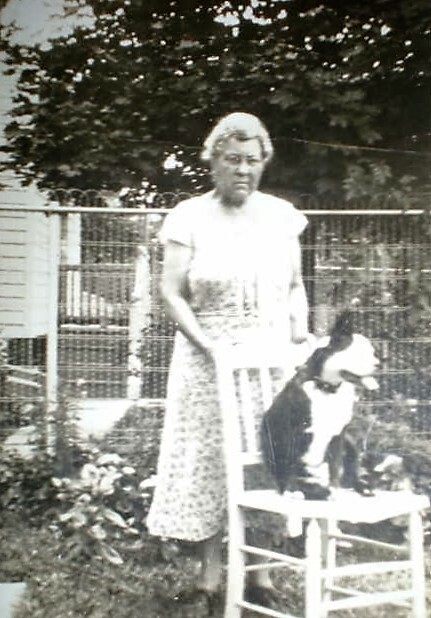 Margaret Buchanan 1839-193-25 born in South Ryegate VT to Walter Buchanan and Margaret Lumsden. Wife to Curtis Bartlett Fisk. Charles Ballou Fiske 1862-1893 born in Providence RI to Edward Waterman Fiske and and Jane Ballou. Married Ruth Angell in 1887 and had 2 children. Charles sister Annie married Dexter B. Clark listed in Daughters of the American Revolution Lineage Book 1912 Member 33574. Descendant of Noah Ballou. Daughter of Edward W. Fiske and Jane Ballou, his wife. Granddaughter of Jonathan Ballou and Ann Hendrick, his wife. Gr.-granddaughter of Ziba Ballou and Molly Mason, his wife. Gr.-gr.-granddaughter of Noah Ballou and Abigail Razee, his wife. Noah Ballou, (1728-1807), was a patriot and his son Noah received a pension as ensign. He was born in Wrentham. Mass. ; died in Cumberland, Rhode Island. Edward Waterman Fiske 1834-1926 born in Coventry RI to Amos Fiske and Sarah Waterman. 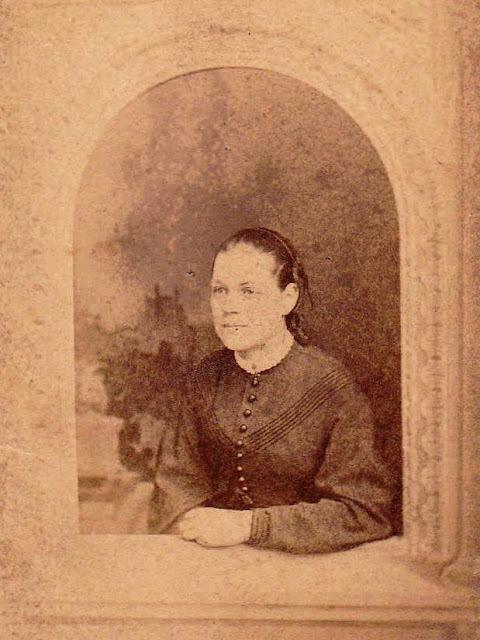 Married Jane Ballou in 1854 and had 1 child. Note: Daughters of the American Revolution 1931 and 1927 List Family. 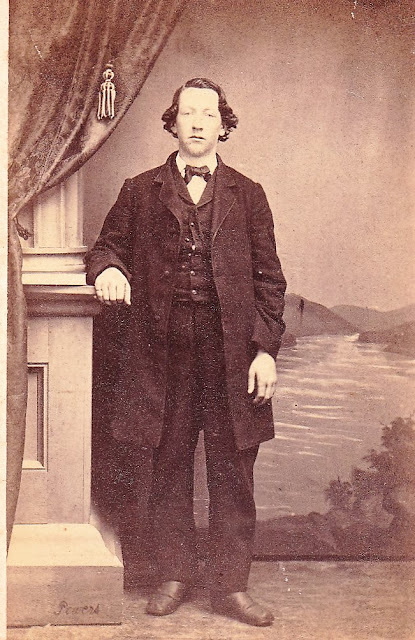 William Augustus Fiske (1837-1904) born in Warwick RI to Amos Fisk and Sarah Waterman. 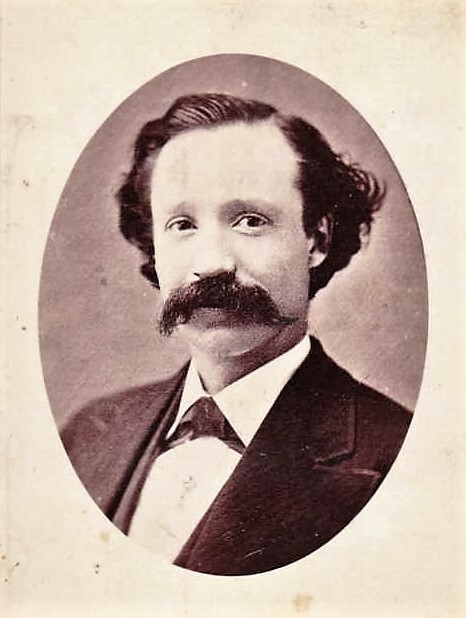 He married Susan Wyman Waterman (1841-1903), daughter of Oliver Gardner Waterman and Cynthia Ann Matteson in 1861 and had 2 children. NOTES: Oliver G Waterman was son of Col. William Waterman and Hannah Gardner. He married 1st Harriet Weeks. From Genealogy Records: Col. John Waterman, born Aug. 25, 1730, married June 13, 1754. Sarah, daughter of Col. John Potter. Col. Waterman inherited the estate of his father. He defended Old Warwick from an invasion by the British in the Revolution at the time when the enemy was in possession of Newport, and was in command of a regiment which drove the British from the Island of Prudence at the time Wallace landed and burnt the houses on the Island. He was colonel of militia, for many years president of the town council, and member of the General Assembly, and held other responsible positions. Col. William Waterman, son of Col. John, born May 5, 1763, made his home in the town of Coventry, where he was engaged in farming. He was a soldier in the war of the Revolution, and received a pension from the government. He was a captain and later a colonel in the militia. His death occurred in Coventry, Nov. 8, 1848. On June 9. 1793, he married Hannah Gorton, widow of Benjamin Gorton and daughter of Capt. Oliver Gardner and Marcy Gorton. 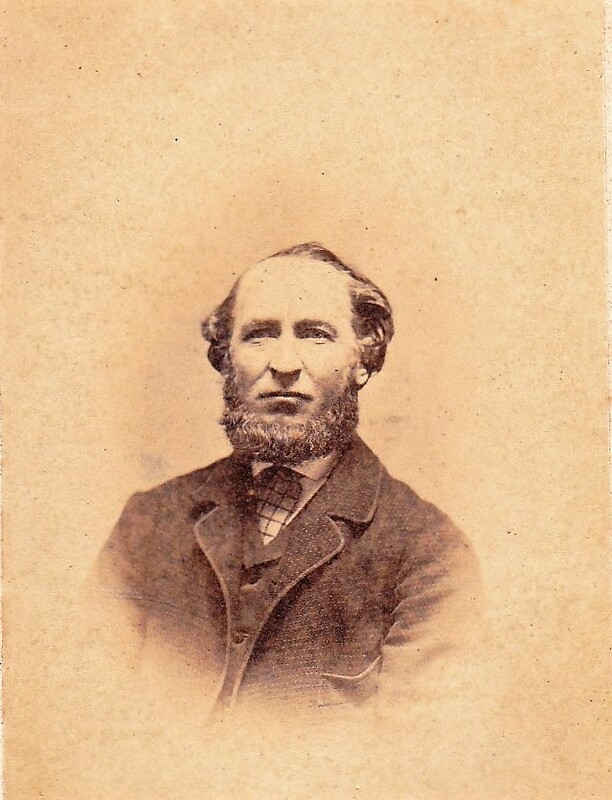 Captain Garner was son of Isaac Gardiner and Margaret Gardiner. See Gardner-Gardner Genealogy and from Boston Semi-Weekly Advertiser (MA), Oct. 15, 1825, p. 1:In E. Greenwich, R. I. capt. Oliver Gardner, aged 81--a worthy man in all the relations of life. Capt. G. was for 36 years an able and experienced nautical commander, both before and after the revolution. In 1776 he received a commission from Nicholas Cook, Esq. then Governor of Rhode Island and Providence Plantations, to take command of the Row Galley called Washington, two of which species of armed vessels had been built by order of the General Assembly, to protect the trade of the Colony. In this service Capt Gardner continued some time when he was engaged in constant employ during the continuance of the war of Independence, with much credit to his courage and ability. He was employed to pilot the French fleet to Boston, which he performed with much skill, and when danger or duty called he was always at his post. 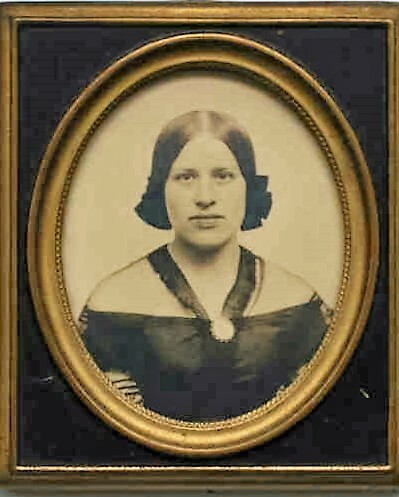 Jane Eliza Ballou 1836-1893 born in Cumberland RI to Jonathan Ballou and Anna Hendrick, daughter of Joseph Hendrick and Ruth Capron. Wife of Edward Waterman Fiske. Jonathan Ballou was a merchant tailor for many years on Cumberland Hill, R. I., and later at Woonsocket. He was a rarity in his line at first, among us country folks of his native town, who had always before been mostly accustomed to home-made garments of female construction. But the new styles and more polished workmanship soon took the lead and became indispensable. Our Ballou cousin was a kind hearted, ingenious, industrious, accommodating, honest, worthy man in all his relations. And he achieved fair success in his business, though never acquiring great wealth—simply a comfortable competence. He was liberal in his religious sentiments, and humane toward suffering fellow creatures. He was for half a century much devoted to the Masonic Order, and deservedly respected for many virtues. We do not think he reached or sought much distinction in martial or political life, but contented himself with the even tenor of ordinary citizenship. As he descended into old age, he became a great sufferer from stone in the bladder, which at length wore him out. He died in the serene hope of a blessed immortality, at Woonsocket, Nov. 27, 1869, a. 77 yrs. 9 mos. and 28 ds. The writer ministered at his funeral, and his remains were buried with Masonic honors. 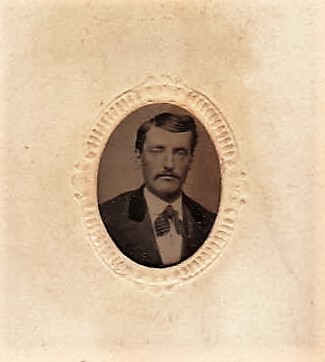 His worthy widow d. at Woonsocket, May 1, 1884. From "An Elaborate History and Genealogy of the Ballous in America." 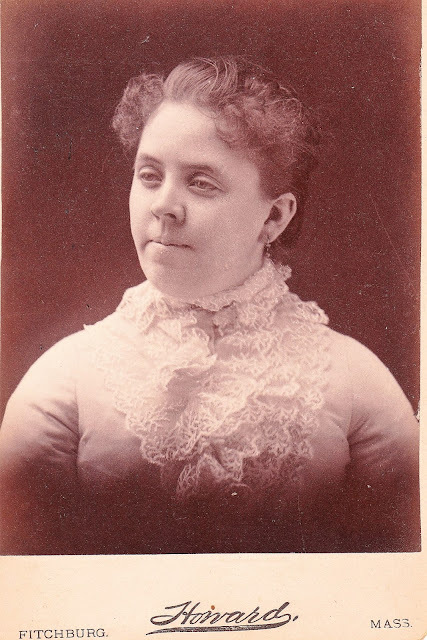 Sarah Fiske 1858-1951 was born in Providence RI to Edward Waterman Fiske and Jane Ballou. 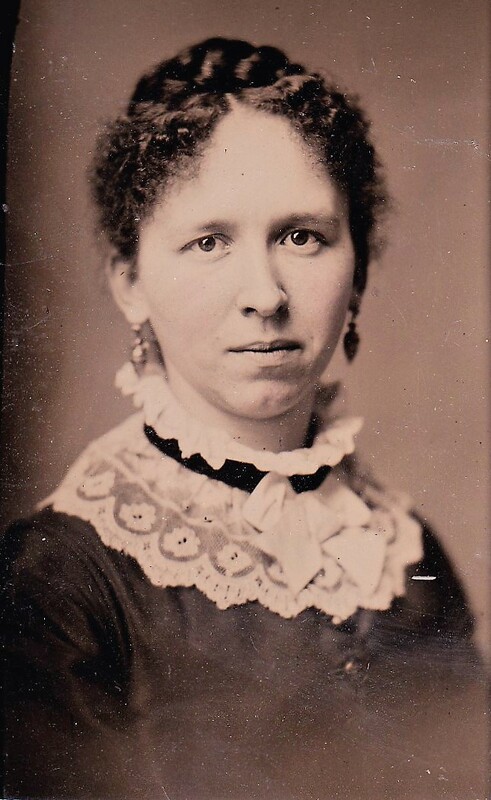 She married Albert Angell in 1878 and had 3 children. Walter E. Fiske 1866-1916. He was born in Providence RI to Edward Waterman Fiske and Jane Ballou. He married Minnie Moray in 1890. They had no children. Susan Wyman Waterman she was born in Coventry RI to Oliver Waterman and Cynthia Matteson. She was the wife of William Augustus Fiske. Winthrop Fiske 1868-1963 born in Hartford CT to David Fiske and Annie Huse. He married 1st Mary E. Love, they had 2 children and 2nd Mabel Cilley and had 1 child. 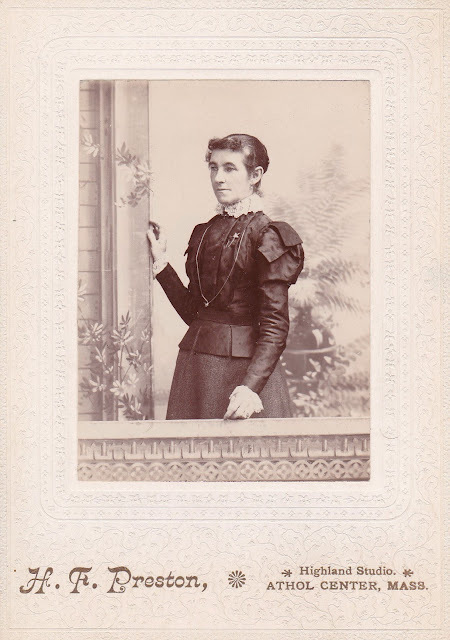 Alice Norman Stebbins (1852-1913) born in Upton MA to Norman Stebbins and Alice Hayward. In 1873 she married Stephen Burlingame Fiske (1849-1904) and had 3 children. Stephen B Fiske son of Daniel Fisk and Ruth Burlingame daughter of Abraham Burlingame and Sukey Fenner. 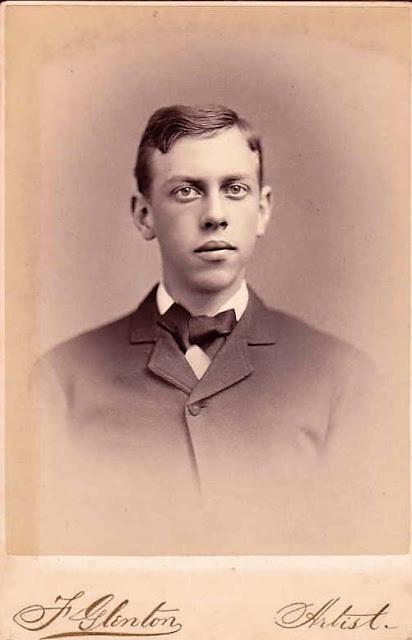 Charles Norman Fiske son of Stephen Burlingame Fiske and Alice Norman Stebbens as listed in Harvard University Book Attended Phillips Exeter Academy. Harvard College 1894-1895. M.D., 1899 (1900). Married Helen Tucker Hawke, daughter of Admiral James T. Hawke of Mare Island, Cal., Sept. 25, 1902. Children John Norman, Nov. 15, 1903; Stephen Burlingame Fiske Oct. 30, 1907. Business Medical officer, United States Navy. Address (home) The Maples, Calistoga, Gal. (business) U.S.S. Utah, United States Atlantic Fleet, New York, N. Y. (permanent) Bureau of Medicine and Surgery, Navy Department, Washington, D. 0. 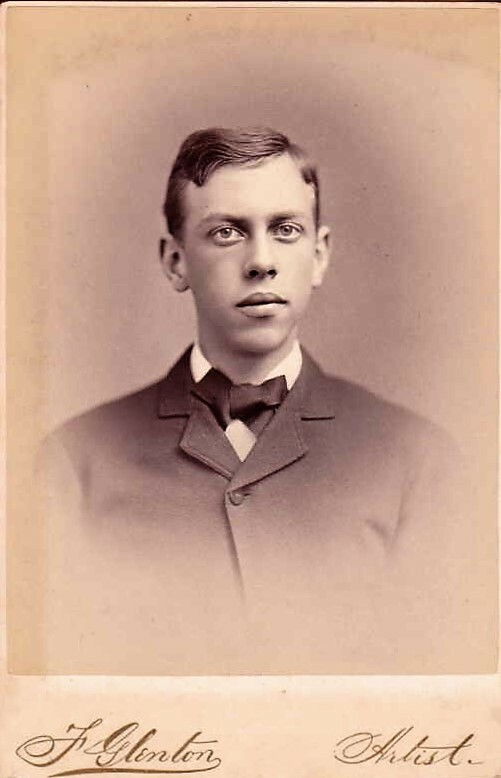 Following my academic work in Harvard College I pursued the regular four years' course at the Harvard Medical School, upon the completion of which in 1899 I served out my interneship as house physician at the Boston City Hospital, and went to New York City to do special hospital work to finish preparation for the Navy. I was commissioned assistant surgeon on May 15, 1900. My promotion to passed assistant surgeon occurred in 1903, and to the grade of surgeon, with rank of lieutenant commander, in 1907. The following is a list of my stations or duties: 1900, United States Navy Yard, Boston; Fifth Battalion United States Marine, expedition Boxer insurrection, China; United States Naval Hospital, Mare Island, California; United States Naval Recruiting Stations, Sacramento, Stockton and San Jose, Cal. ; U. S. S. Wheeling, Pacific and Asiatic stations. 1901, U. S. S. Mohican, Pacific and Asiatic stations. 1903, United States Naval Hospital, Chelsea, Mass. 1905, United States Naval Medical School, Washington, D. C.; United States Naval Hospital, Puget Sound, Washington (substitute command); U. S. S. Marblehead, United States Pacific Fleet. 1906, at Fort Mason, earthquake and fire disaster, San Francisco; U. S. S. Yorktown, United States Pacific Fleet. 1907, United States Naval Hospital, Mare Island, California. 1908, United States Naval Recruiting Station, Boston, Mass. 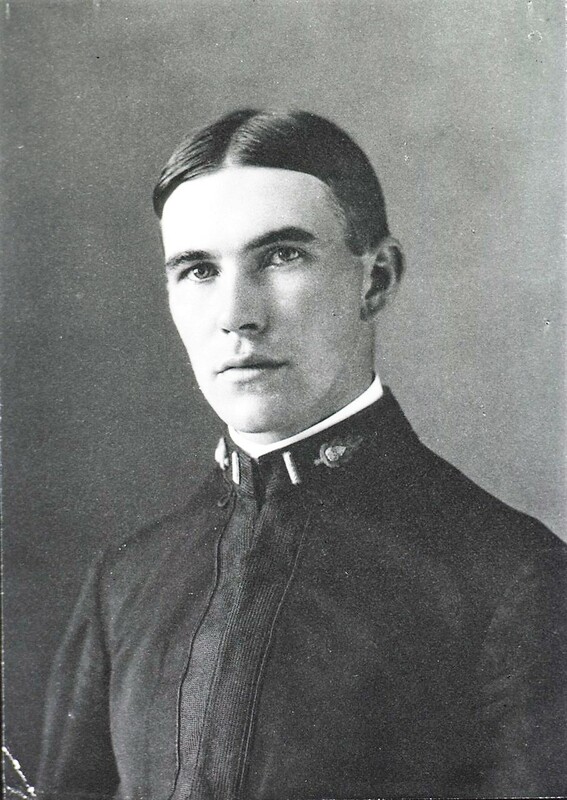 1909, United States Navy Yard, Washington, D. C, senior medical officer; assistant in office of Surgeon General of Navy, in charge of personnel, vital statistics and publications; editor of United States Naval Medical Bulletin. 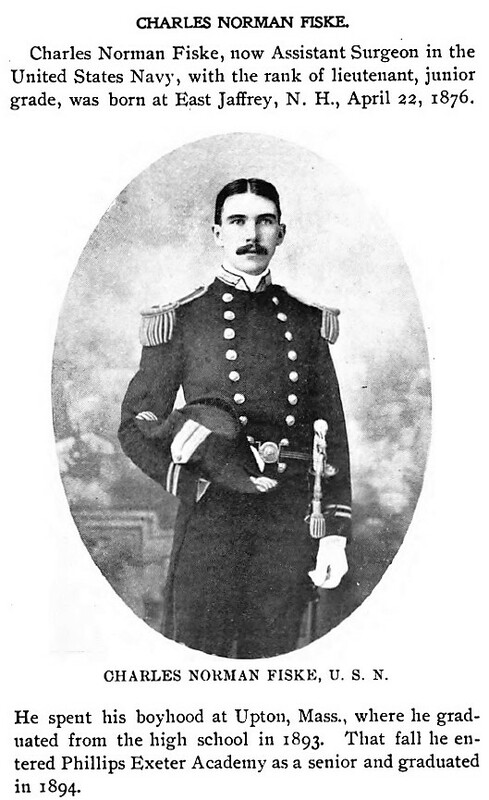 1910, instructor in naval hygiene and in duties of medical officers at United States Naval Medical School, Washington, D. C. 1911, U. S. S. Georgia, division surgeon, Fourth Division, United States Atlantic Fleet. 1912, U. S. S. Nebraska, Cuban and Mississippi River duty; U. S. S. Utah, division surgeon, First Division United States Atlantic Fleet. Books and articles which I have written: (co-author) System of Syphilis (London, 1910); various articles on naval medicine and hygiene published in United States Naval Medical Bulletin, American Journal of Public Health, American Journal of Medical Sciences, The Military Surgeon, Proceedings of the Fifteenth International Congress on Hygiene and Demography. Member: American Public Health Association, American Medical Association, Association of Military Surgeons of United States, International Congress on Hygiene and Demography. Charles Wallace Fiske 1833-1908 born in Cheshire, NH to Daniel Fiske and Esther Eaton, daughter of Moses Eaton and Esther Ware. Daniel married 2nd Betsey Eaton, Esther's first cousin. Betsey was the daughter of Samuel Eaton and Lucy Jewell. Samuel, son of Jeremiah Eaton and Elizabeth Woodcock was a soldier of the Revolution, having enlisted so young that he had to stuff the soles of his boots to make himself appear tall enough to pass muster. Samuel's brother Lemuel Eaton was a soldier of the Revolution; was in service when the British evacuated Boston, and later was in service at Ticonderoga; towards the close of the war he was stationed at the Castle in Boston Harbor. He married in Sarah, daughter of Ebenezer Ware and Esther. 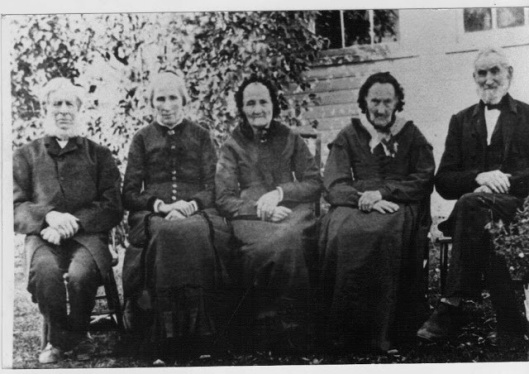 Charles Wallace Fiske married Sarah Mathews and had 8 children. Sarah Mathews was daughter of Asa Mathews and Abigail Cheney. 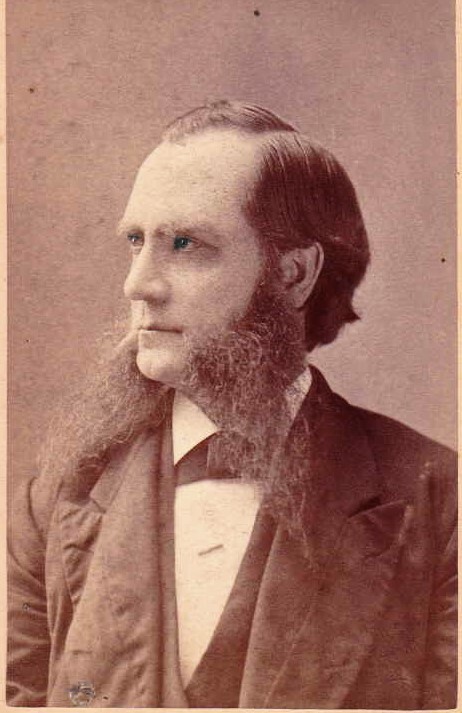 David Fiske 1829-1876 Born in Lowell MA to Lewis Fiske and Mehitable Knowlton. Married Annie Eliza Huse daughter of Edward Huse and Mary Edwards (widow of Paige) in 1856 and had child. David died in Berlin, Prussia April 7, 1876. 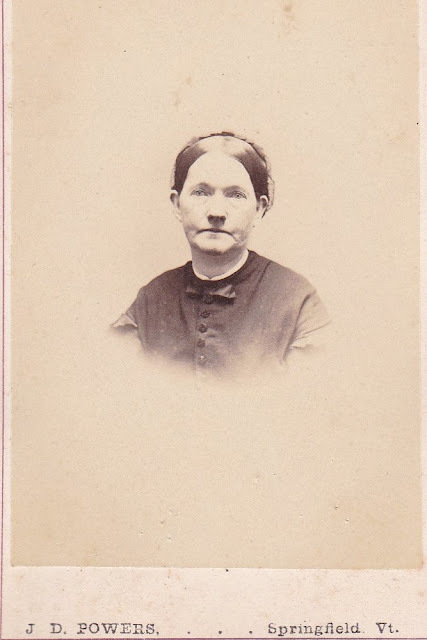 Annie Eliza Huse Born November 30, 1833 in Milton VT to Ebenezer Huse and Mary Edwards. Wife of David Fiske. 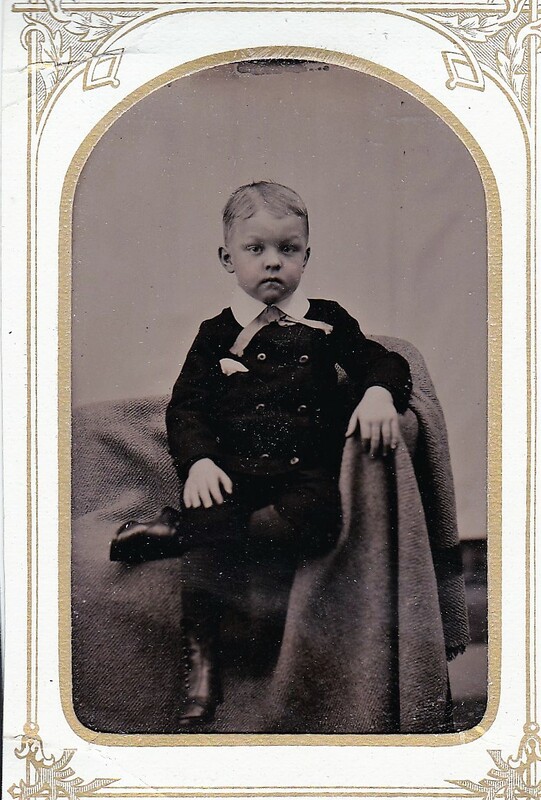 D. August 5, 1892 in Lowell, MA. Mary Anna Fiske 1828-1897 born in Providence, Rhode Island to Amos Fisk and Sarah Waterman Married Alfred Waterman in 1857 and had 1 child. 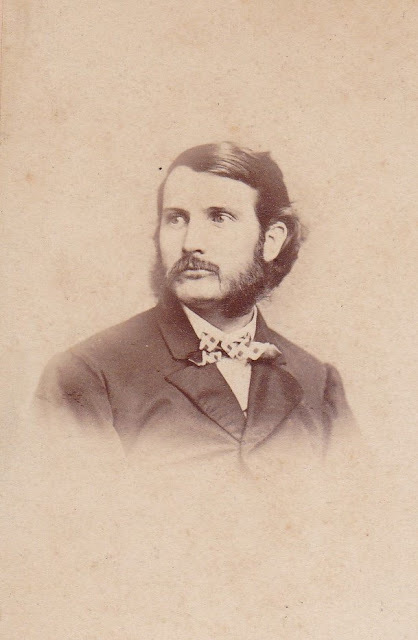 Alfred Waterman (1826-1897) born in Providence, Rhode Island to Charles Waterman and Deborah Seamans. 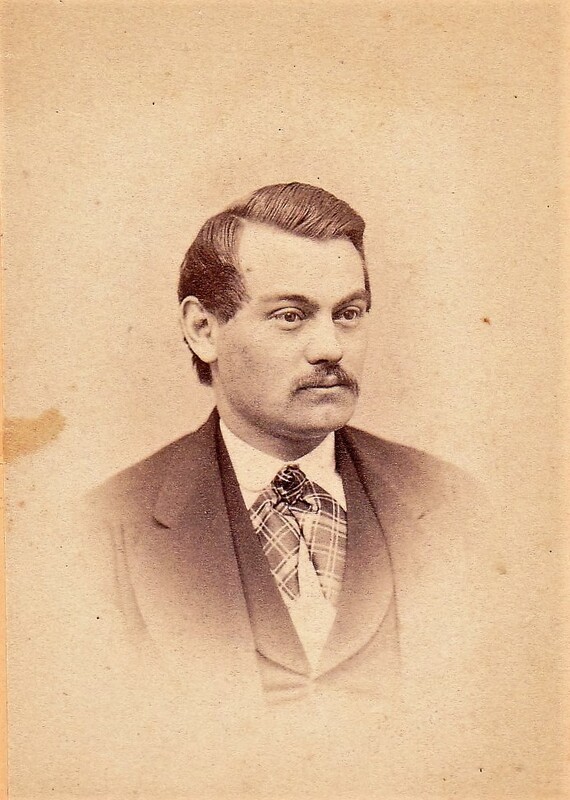 Husband to Mary Anna Fiske. 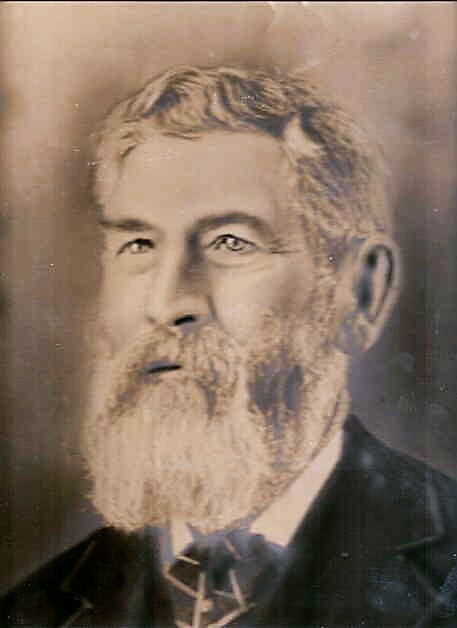 Moses Fiske (1825-1900) born in Hawley MA to David Fiske and Lydia Allen (1835-1907) David Allen and Elizabeth Fiske. Moses married Rebecca Howes (1835-), daughter of Marke Howes (1802-1884) and Thankful Eldridge on Febuary 4, 1863 and had 4 children: Francis Freeman "Franco" Fiske, Frederick Gilbert Fiske, Alice M Fiske Fairman, and Cordelia H Fiske Presho. Marke Howes son of son of Mark Howes (1765-1853) and his 2nd wife, Susanna Alden (1768-1852) of Ashfield, MA. Notes Markes Howes was son of Thomas "Sailor Tom" Howes and Bathsheba Sears who moved to Ashfield about 1791 from Yarmouth, Cape Cod, Barnstable, MA. 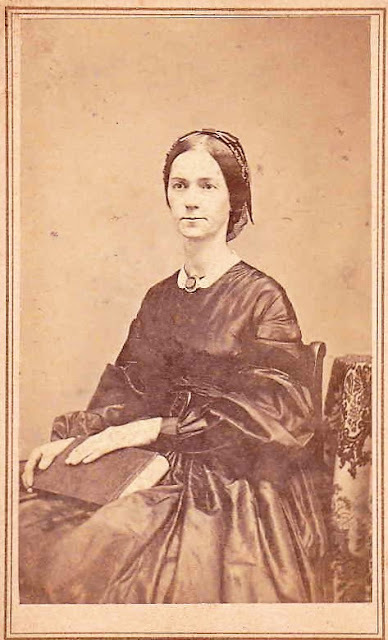 married 1) Abigail "Nabby" Gorham b. 1766 in Yarmouth, MA, d. 1792 New Haven, CONN, married 2) Susannah Alden of Ashfield, MA on Mar 7, 1793 recorded at Ashfield, Mass. Mabel Jane Carrey. Born in Milford NH to Wilfred Carrey and Emma Perry. She married Wilfred Fiske in 1887 and had 1 child. Vital Records Chelsea, Massachusetts to year 1850 Volume 2. Batchelder, Batcheller Genealogy: Descendants of Rev. Stephen Bachiler, of England, a Leading Non-conformist, who Settled the Town of New Hampton, N.H., and Joseph, Henry, Joshua, and John Batcheller of Essex Co., Massachusetts. The Tingley family revised: being a record of the descendants of Samuel Tingley of Malden, Mass., in both the male and female lines, Volume 2 1972 M M Frye. Representative Men and Old Families of Rhode Island: Genealogical Records and Historical Sketches of Prominent and Representative Citizens and of Many of the Old Families J.H. Beers & Company, 1908.